Wisdom teeth grow in the very back of your mouth, behind the molars. These teeth often grow in cooked, sideways, or misaligned. As they grow in, the wisdom teeth push on other teeth. This can cause problems of overcrowding and misalignment for them as well. As wisdom teeth come in, they can be painful. You feel pain from wisdom teeth in the very back of your mouth. This pain can be constant for some people, while other people only experience pain and discomfort when chewing food or touching the area. If you look in the mirror, you may notice your wisdom teeth poking through the gums. The area might be red, inflamed and tender to the touch. If you are experiencing wisdom tooth pain, come see us at Power Ranch Dental. 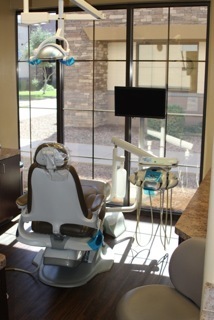 Our team professionals will provide you with the best experience on what you should do next for your oral health. Call us today for a free consultation at (480) 988- 2282! We look forward to meeting with you.